UNEXMIN project coordinator Norbert Zajzon has been in Brussels during the event ‘Exchange of best practices on mining policies and technologies: challenges in the current state of the global economy’, on the 28th and 29th of June. This event was a follow-up of the ‘EU-Advanced mining countries Raw Materials Diplomacy Dialogue‘. In addition to attendees from EU member-states, other countries attended, including South Africa, Australia, Canada, USA, Mexico, Peru, Brazil and Chile. The main topics addressed and discussed during this international event were mainly about the challenges for the mining sector given the current global economy and commodity prices, mining waste-management, and ongoing EU actions on international co-operation on raw materials. 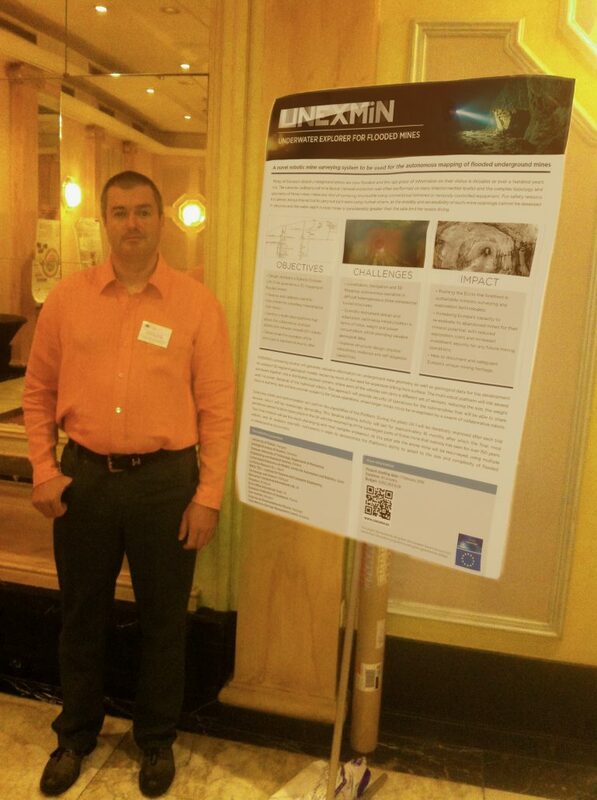 The UNEXMIN team were invited to present a poster at this international event – and we gladly did: it was a perfect way to make UNEXMIN project noticeable amidst stakeholders. According to Norbert Zajzon ‘everyone was impressed by the poster and the brochures, there were good discussions, and many curious people who wanted to get more information on the project.’ So this was a great opportunity to show this recent and ambitious EU-funded project. UNEXMIN even garnered interest from international institutions present at the event, including the Mining Association of Canada and the Mexican Geological Survey, who asked to be kept informed on the project’s development and who will, from now on, follow-up closely. 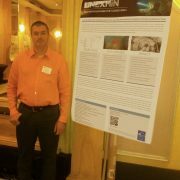 UNEXMIN is growing and more and more people are becoming aware of the new technology trend that is being developed! 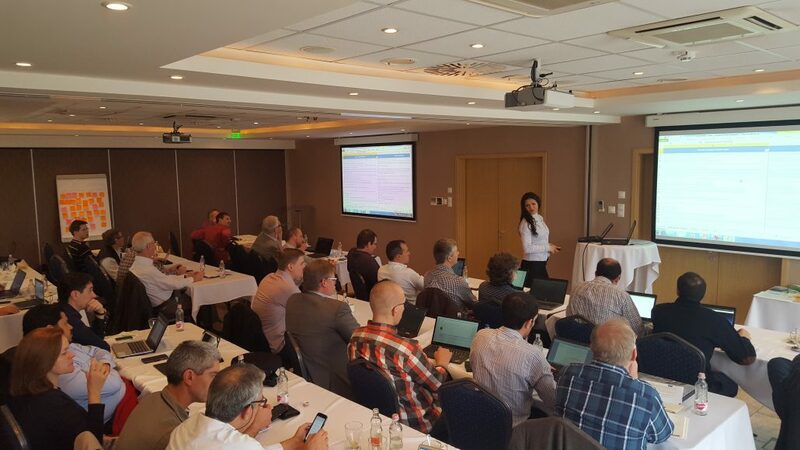 From the 24th to the 26th of May, UNEXMIN partners held a meeting in Tampere, Finland. 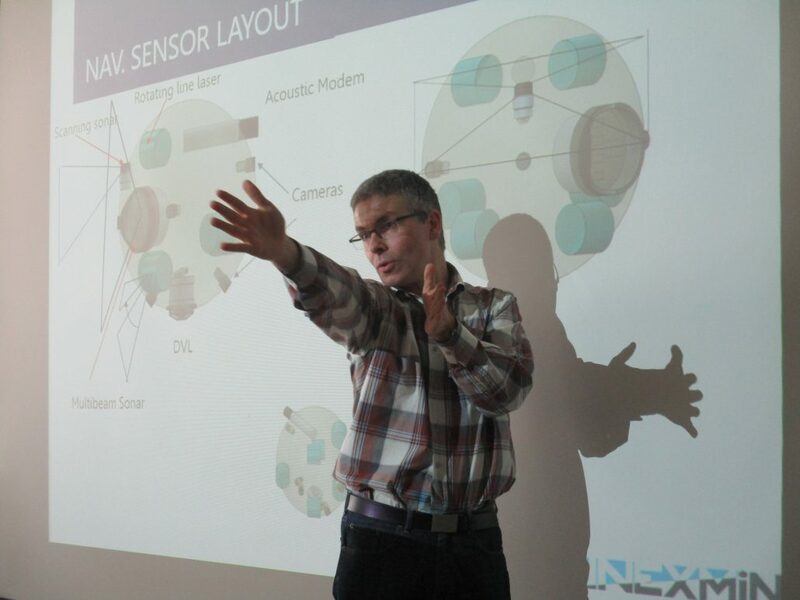 The meeting, entitled “End-user requirement specification workshop”, aimed to define and specify the technical features of the autonomous multi-robotic explorer in order to best serve end-users who will enlist UX-1’s services in the future. Every topic of great importance for the project’s development was discussed in these workshops, so everything was covered to ensure things are going in the right direction. 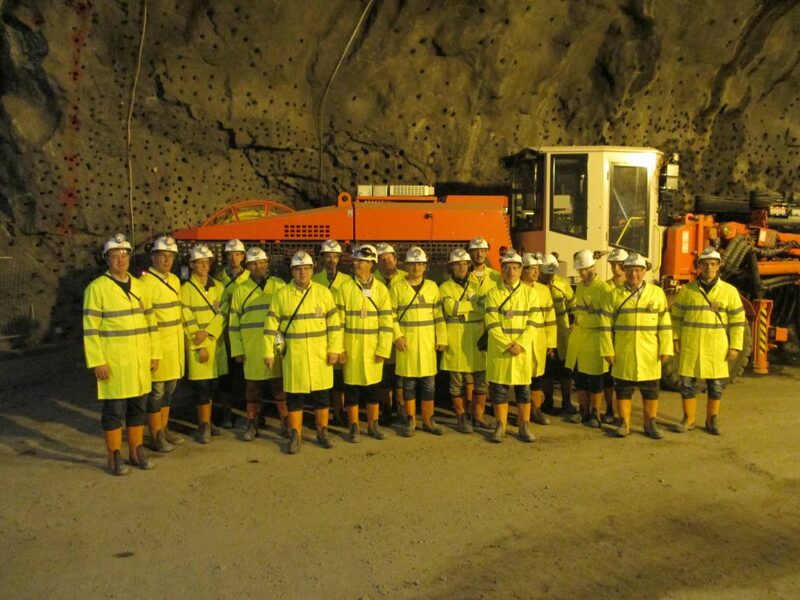 On the last day, the consortium members visited a Sandvik Mining and Construction test mine in which drilling tests and monitoring are performed autonomously, similar to one of the technologies UNEXMIN is adapting and developing during the project lifetime. 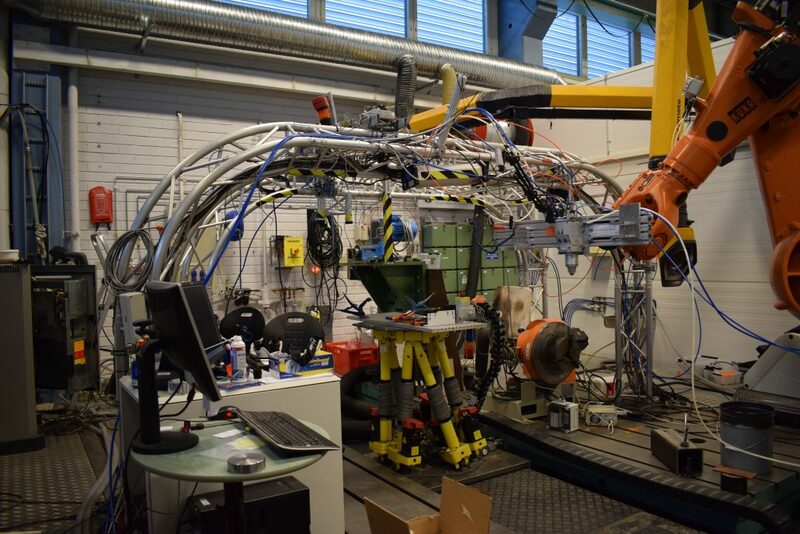 There was also a tour of the TUT laboratories, where the robot’s hull will be constructed. One of the many laboratories in TUT – Tampere University of Technology. 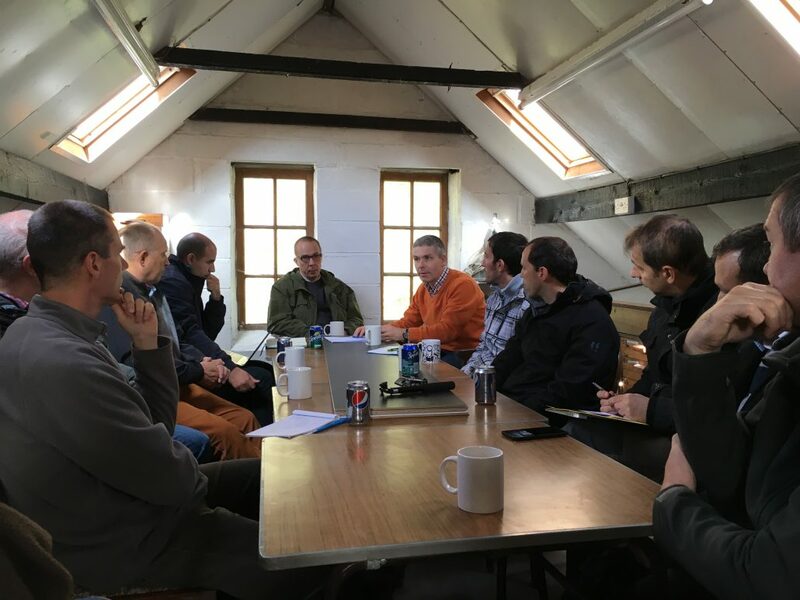 This meeting allowed the UNEXMIN group to define a specific strategy for the robot’s developments, taking into account different factors such as end-user requirements, materials and instruments availability and navigation, autonomy and survivability constraints. In the end, it was a productive and enjoyable meeting which will get us closer to the final objective of creating an autonomous multi-robot platform! 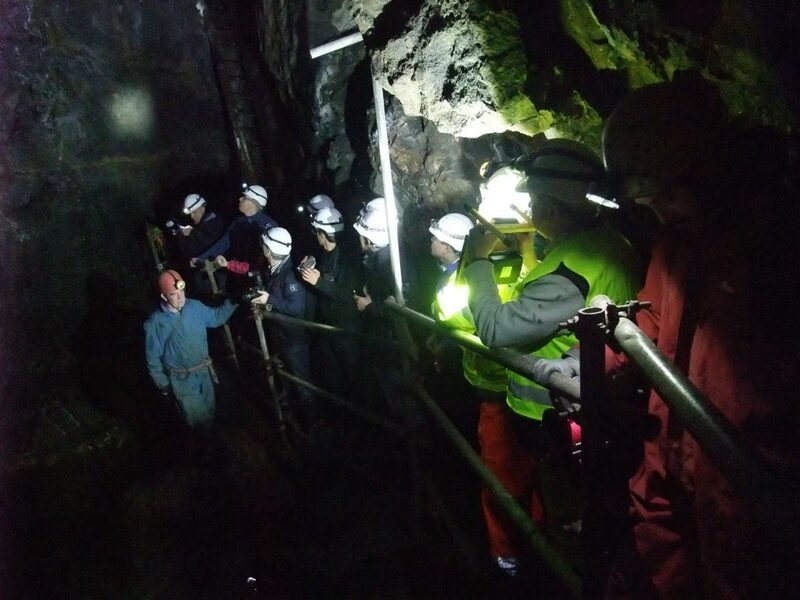 On May 3rd, UNEXMIN consortium members visited the Deep Ecton mine, one of the copper mines located in Ecton Hill, Staffordshire (near Manchester), UK. Deep Ecton will be the last and most technologically challenging test site (from a total of four) for the UX-1 multi-platform robots surveying work. The Ecton Mine produced predominantly copper with lead and zinc as secondary products, which is uncommon in the related mineral district. Mining at Deep Ecton lasted from the Bronze Age until the 19th century, at which time it was Britain’s deepest mine. Mining below river level ceased during the 1850s, and all production ceased in the 1890s. With UX-1, the innovative multi-robotic system UNEXMIN partners are developing, we intend to map all tunnels and shafts of Deep Ecton. These flooded and currently inaccessible areas were last seen and mapped during the 19th century, meaning the data has not been updated for more than 150 years! 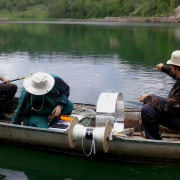 Now, with UNEXMIN developing autonomous underwater submersibles capable of surveying flooded and deep-mine environments, it will be possible to get actual, precise, new data, which would otherwise be impossible to obtain. We will do this without disturbing the environment at Deep Ecton – it is a heritage Site of Special Scientific Interest – or putting human lives in danger. In order to solve the technical and technological challenges which might arise from this particularly difficult test site, we have a group of robotic experts and technology developers working hard to find the best approach for the UX-1 robots so they can do their work in the best way possible. During their deployment, the UX-1 machines will gather information of potential importance which might prove useful for the specific test-sites and Europe’s scientists and decision-makers. 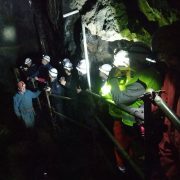 The Ecton Mines are great places to visit for a nice day out while learning and observing its geology, archaeology and beautiful landscapes – it is really worthwhile! EMET (Ecton Mine Education Trust), one of UNEXMIN’s partners, and the institution in charge of the Ecton Mines, is doing a great job preserving and showing the mines to the team. We hope to go back to Staffordshire soon for UX-1’s pilot-test! The UNEXMIN project kick-off meeting took place in Miskolc, Hungary on the 18th to 19th of February, 2016. 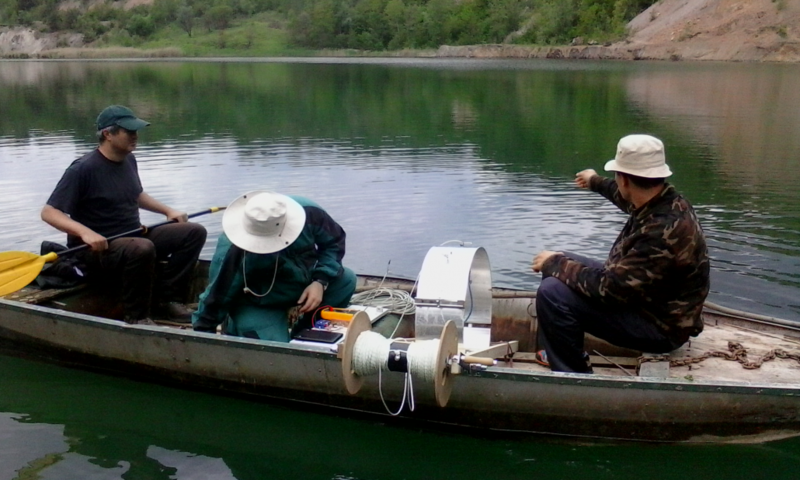 Thirteen organisations from seven countries across Europe are collaborating in an ambitious project to develop a submersible robotic system for the surveying and exploration of flooded mines. 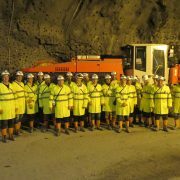 The €5M project, funded by the European Union’s Horizon 2020 research programme, will include the development of a Robotic Explorer (UX-1) for autonomous 3D mine-mapping to gather valuable geological information which cannot be obtained in any other way: in general the mines will be too deep and dangerous for access by human divers. A presentation held by one of the partners of the UNEXMIN project at the Miskolc meeting.